This gorgeous Off-The-Shoulder Top is loose fitting, perfect for festival grooving, early morning beach trips or special nights in the moonlight. Available in two gorgeous colour ways, chestnut and magenta, the Savannah Off-The-Shoulder Top features a soft elastic and a drawstring with our signature wind chimes tassels sitting effortlessly around the shoulders. 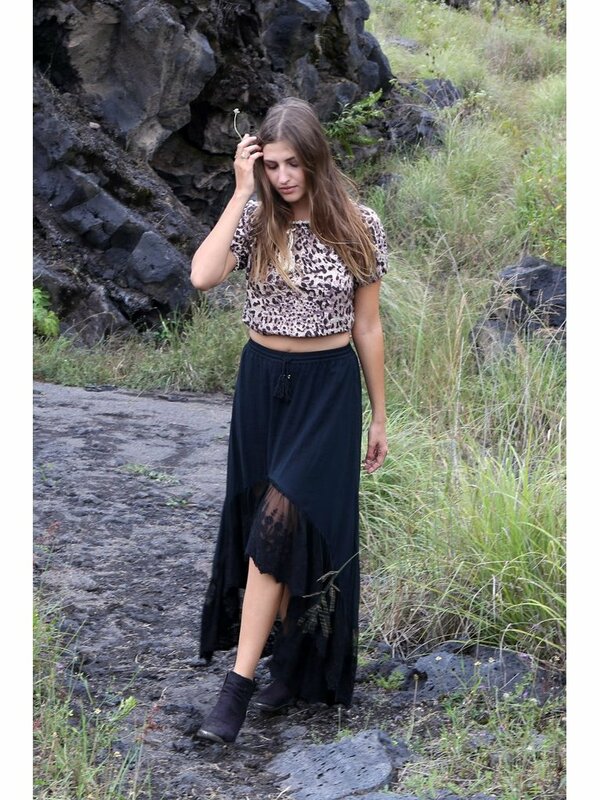 This top looks great teamed with our Hunter Pants, your denim shorts or a high waisted skirt. The Savannah Off-The-Shoulder Top is a beautiful easy to wear top and a piece to treasure for years to come. Made in Indonesia. Ships from Indonesia. XS 100cm / 39.4" 25.5cm / 10"
S 105cm / 41.3" 26.5cm / 10.4"
M 110cm / 43.3" 27.5cm / 10.8"
L 115cm / 45.3" 28.5cm / 11.2"